It’s one thing that can turn a good morning bad. You leave your car parked outside unsuspecting to the potential disaster awaiting. The sprinklers turn on and douse your car with mineral-filled water. 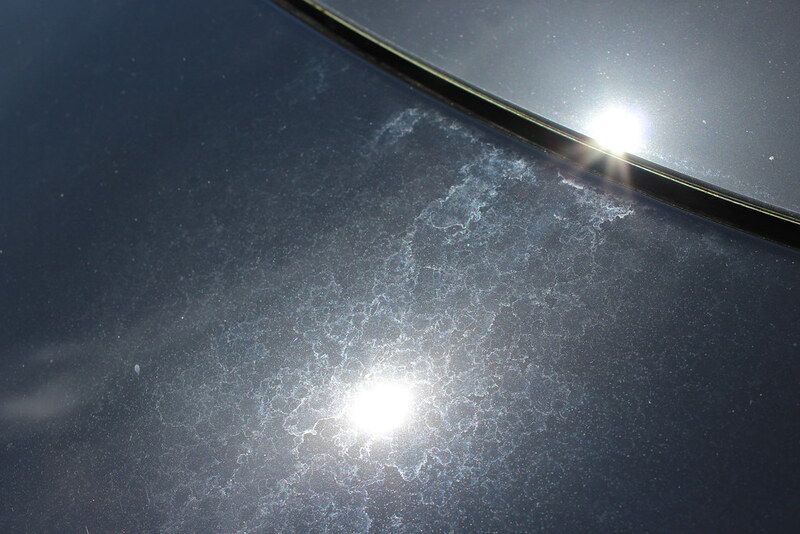 The sun starts beating on the paint surface and bakes those paint destroying minerals. Before you know it, you have one of the worst things a car enthusiast can face. What do you do? You haven’t caught the spotting until several hours or maybe even days after!? 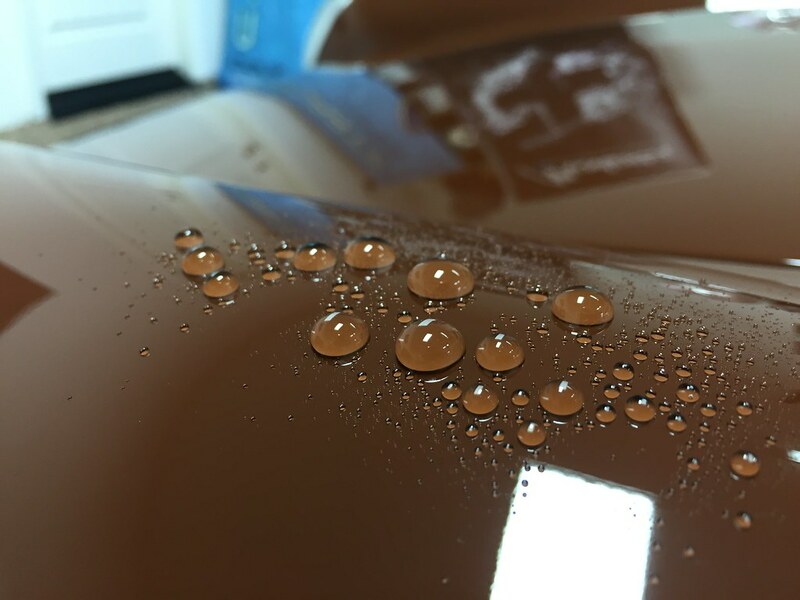 Rest assured there are ways to fix the damage if it happens to you and protect your paint to prevent this from happening the first place. Because let’s face it, life happens, and these things are sometimes unavoidable. We put together a three-part system which will help you evaluate, repair, and prevent this damage from happening. 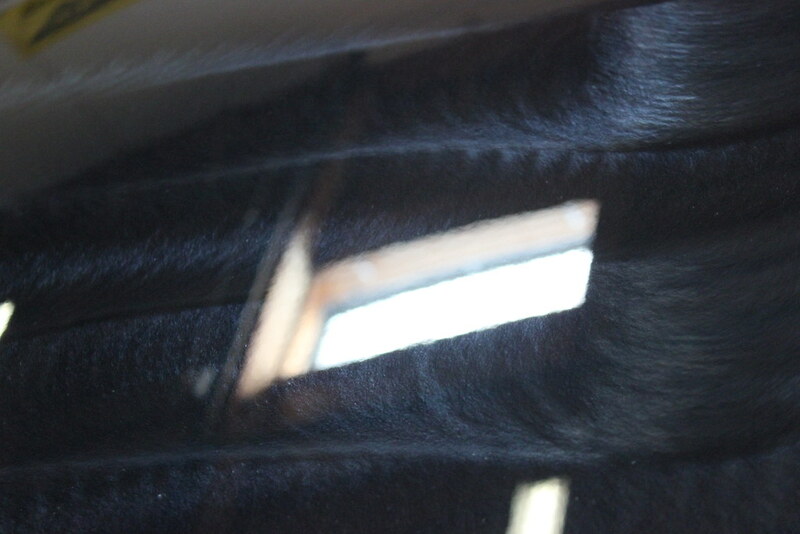 First and foremost, understanding why water can cause these defects will make you better equipped to fix the defects if/when it happens to you. 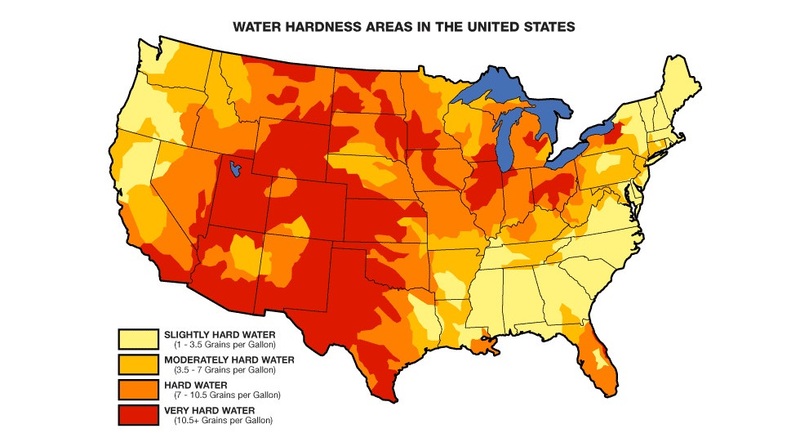 Depending on where you are located tap water can come from many different sources. Natural aqueducts, snow cap melt, well water, desalination, reclamation, or spring water. These sources all vary on the waters TDS (Total Dissolved Solids) content. TDS is a measure of the combined content of all inorganic and organic substances contained in a liquid. The TDS in your water comes from natural minerals either added to or found naturally occurring in the water source. These include Calcium, magnesium, sodium, and other trace elements. It is not the water itself that causes the damage but these minerals that are left behind when the water evaporates. Many reasons why using a Low TDS content water supply when washing such as found with a system like the CR Spotless Water De-ionizer System or using a good PH-Neutral shampoo like Sonax Gloss Shampoo Concentrate can greatly reduce the risk of water spotting during regular maintenance washing. Now that you have a good understanding of what is causing the damage, our first step is to find a solution to fix the damage caused. 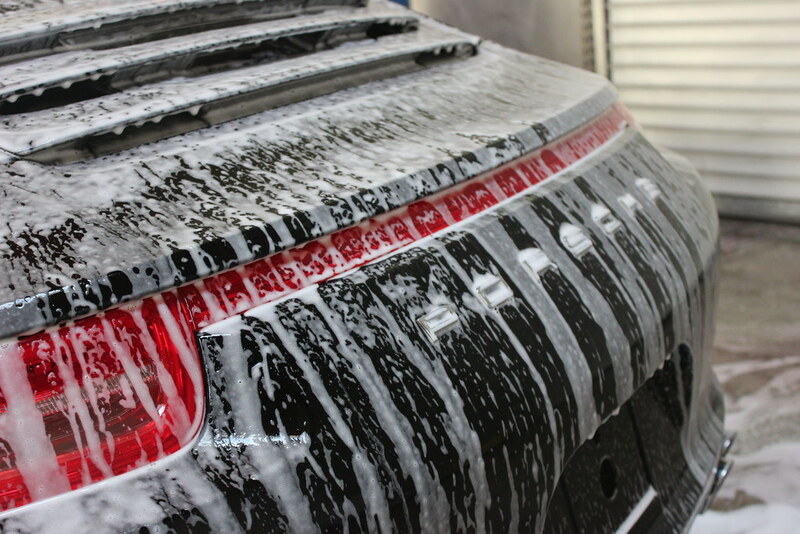 Many factors come into play at this step because duration the spots have been on the car, the TDS of water content and type of paint surface or protection on the paint surface will all affect how you go about finding a solution. Our “CAP” system breaks things down into three categories. The first is a Chemical solution, one that will break down the minerals on the surface such as the CarPro Spotless or the Chemical Guys Water Spot Remover. The next level is an Abrasive solution that will mechanically and physical “abrade” away the minerals and subsequent etching. 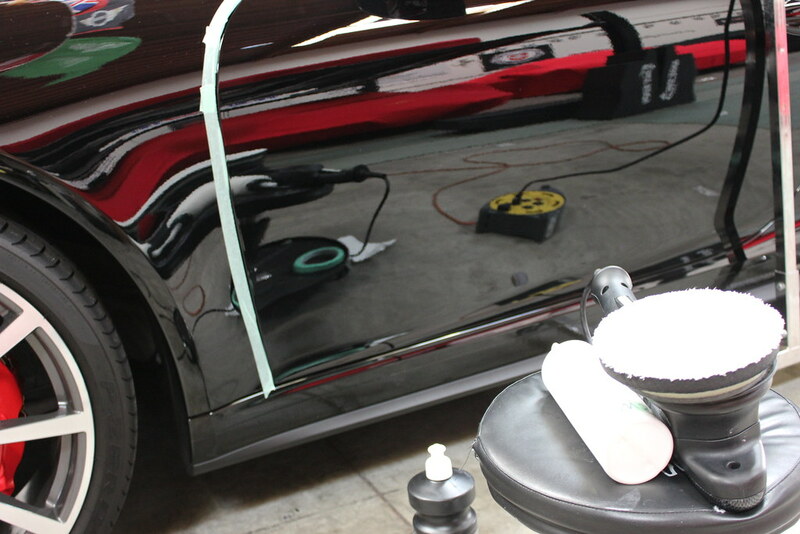 This process is usually needed if the water spots have penetrated the surface and begun “etching” the clear coating. The third and final procedure is Prevention or “Protection”. The best offense is a good defense in regards to water spotting, preventing, or protecting against damage is the best thing you can do. Utilizing safe vehicle storage/parking measures i.e. parking away from sprinklers/grass or watered areas and utilizing a good, durable form of protection such as the Gtechniq C1 or the Sonax Polymer Net Shield can protect against the pesky spotting from occurring in the first place. The best protection against watermarks from my point of view is NOT to have any paint protection, water will stay flat on the panel and will evaporate much more quickly… My sisters car has never had any type of protection and I’ve always laugh in my mind when parking next to her with my well-taken-care-of cars. One with a CP coating, the other one with polymer sealant. My cars stay wet with beads for hours after a rain shower and hers is already spotless dry. Touché.